A hilariously honest novel about fatherhood from one of America's most acclaimed authors. Cy Riemer is the patriarch of a successful and loving Chicago family. But not all is copacetic in Cy's world. The scientific newsletter he publishes is foundering financially, his ex-wife still relies on him for money and intimacy, and he can never seem to find the time or the wherewithal to relax. Much of Cy's stress is caused by the trouble he has with his brilliant and duplicitous son, Jack. With a mixture of humor, grief, and astonishment, Cy becomes our tour guide to the Riemer family's museum of triumphs and tragedies. 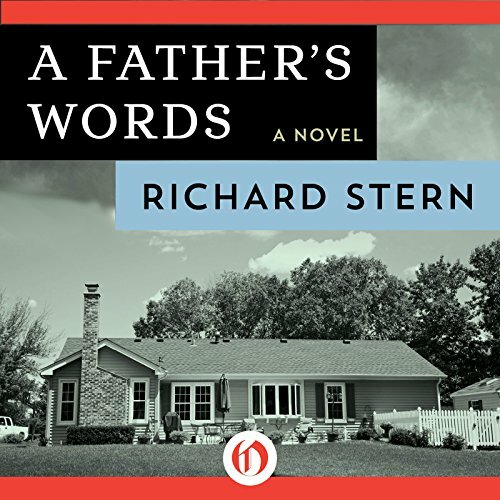 A comic and clear-eyed portrait of the quintessential worried father and the son who lives to torture him, A Father's Words is packed with Richard Stern's trademark wit, compassion, and insight. ©1986 Richard Stern, This edition published in 2014 by Open Road Integrated Media, Inc. (P)2014 Audible Inc. I really enjoyed reading this intelligently written book about a loving middle aged father dealing with his children and, in particular, his progressively aging and very troublesome adult son. Heartfelt and, at times quite heartbreaking as well. The narrator was good. I like this author and will listen to more of his work, in particular, “Other Men’s Daughters”.